Forest Garden 10 x 6 Overlap Dip Treated Pent Shed: The Forest Garden overlap dip treated garden shed is longer along the front side and has the door to the side rather than in the centre to maximise the internal space. This pent shed has a single sloping roof which allows water to run off the rear of the building. The construction is overlap timber which is rough sawn and will allow flexibility for the natural movement within the timber. This garden shed has been dip treated in the factory to provide the shed with a base treatment, it can be kept in optimum condition with a yearly application of timber preservative. The 10 x 6 shed is ideal if you need a shed that is wider than it is long with the door and windows in the front longer side of the shed. The shed is finished with attractive barge boards and includes shed felt so that you can protect the shed and contents from the elements. This garden shed features a hasp and staple lock for security and has a single door and two windows on the front of the building. 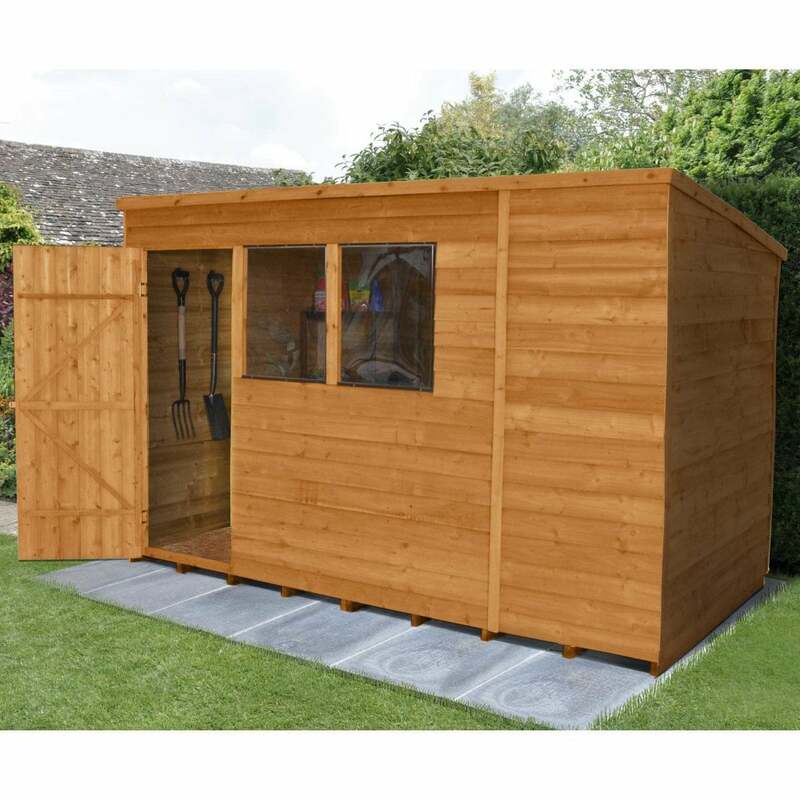 For ease this shed is delivered in easy to manage sections for simple self-assembly.